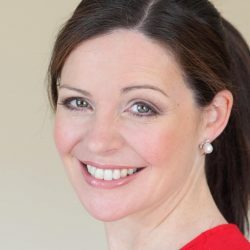 Catherine Fulvio is one Ireland’s most celebrated female chefs, and this is affirmed by her many and diverse roles from educator to female entrepreneur. Catherine runs a selection of short practical courses on Starting your Own Food Business and Menu Writing for Coffee Shops and Pubs, as well as writing bespoke recipes. With her effervescent charm and personality, Catherine Fulvio is an ardent supporter of fresh local produce and one of Ireland’s top culinary stars. Born and raised at Ballyknocken, a working farm, Catherine has an inherent knowledge and understanding of food and cherishes the land and its produce. Her Irish blood and her Italian heart is a winning combination. Her recipes reflect seasonal, easily sourced Irish quality ingredients, and she is known for her no-fuss approach to food with a twist, often Italian! Passionate about the ingredients she uses, Catherine’s motto is “eat well be well,” and her ethos is “farm to table” wherever possible. Catherine has firmly established herself as a familiar face on TV screens both at home and abroad, and she plays an important role in nurturing and educating the next generation on food and food production related issues. Making everyday in the kitchen exceptional, Catherine believes recipes should be both doable and delicious! Catherine enjoys a strong media profile, and she has just finished filming for a new TV series “Lords & Ladles,” featuring six Irish Country Houses, where she, along with Derry Clarke and Paul Flynn, explores the food of the day in this classic new series due to air later this year. She is also the Leinster mentor on series two of “Taste of Success” with RTE. Catherine has enjoyed TV appearances on BBC’s Saturday Kitchen, and in America, where she recently appeared on top US morning show, NBCs Today Show. Her TV series has aired in over a dozen countries. A labour of love, Ballyknocken House & Cookery School is Catherine’s home which still operates as a genuine 350-acre working sheep farm managed by her father and sister. Catherine has published five cookbooks to date, and was winner of the Irish Cookbook Awards in 2012. Catherine runs a selection of short practical courses on Starting your Own Food Business and Menu Writing for Coffee Shops and Pubs. She also writes bespoke recipes for a number of companies.